Ever since it was announced that The Avengers’ Joss Whedon was working on a Batgirl movie for DC, the question of who will land the role of Barbara Gordon has been hotly contested. Surprisingly, few actresses have thrown their hat into the ring as of yet, but one rising star has just made her interest in playing the titular hero public. Priyanka Chopra, who can currently be seen on the big screen in Baywatch, spoke in a recent interview about how her “dream part” is a role in a superhero movie. Specifically, she mentioned that she’d love to play Babs Gordon in Batgirl. Chopra isn’t a bad choice for the character, actually. The 34-year-old Indian actress has gained a fanbase thanks to her leading role in FBI drama Quantico and is now breaking into Hollywood with Baywatch. Early rumours stated that Whedon’s movie would be based off Gail Simone’s run of comics, which followed a more experienced Batgirl. If true, this could help Chopra’s chances, seeing as the character is otherwise usually portrayed in her teens or her twenties. Likewise, many have called for the hero to be depicted as a woman of colour in the DCEU, so there would likely be a lot of support if the actress ended up nabbing the role. Joss Whedon is currently overseeing the final stages of Justice League, taking over from director Zack Snyder who had to step down due to a personal tragedy. As such, it’s not yet known when he’ll be able to begin work on Batgirl and we don’t expect to hear anything on the casting front for a while. Still, if Chopra did end up somehow landing the part, you certainly wouldn’t get any complaints from us. 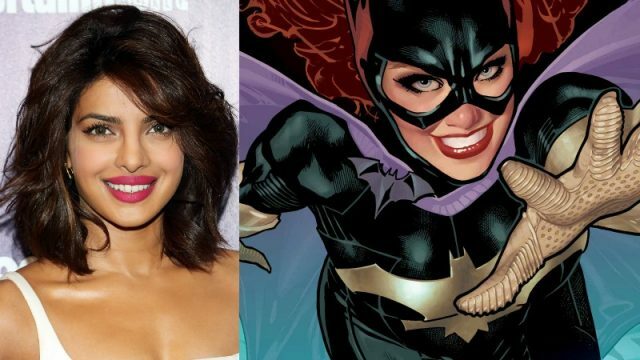 Tell us, would you like to see Priyanka Chopra step into the role of Barbara Gordon? Or did you have someone else in mind for the film? Sound off below with your thoughts!